Surprise! If you slacked on snagging weekend passes to the 2019 Coachella Valley Music and Arts Festival when they went on sale in January, you could be in luck: On Friday, April 5, at 3 p.m. PST, a limited amount of weekend two (April 19-21) three-day passes go on sale to the general public. General admission three-day passes are $429, general admission and shuttle three-day passes are $509, and VIP weekend passes are $999. 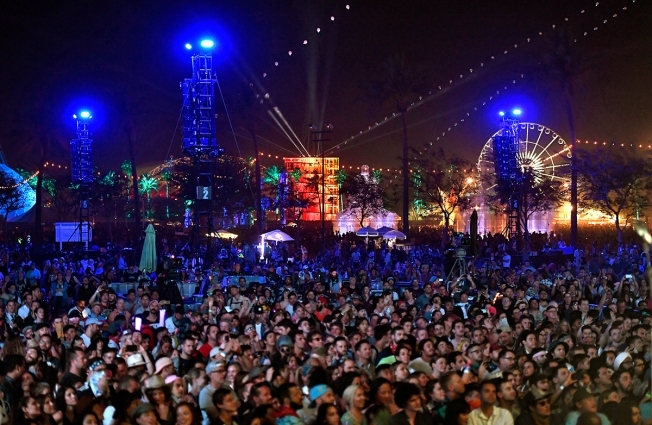 Visit Coachella.com for passes when they go on sale and for more information. Of course, that ain't the only news out of the land of Goldenvoice. How do you make arguably the biggest music festival in the world even bigger? Well, add Kanye West. On March 31, the headline-making hip-hop/fashion superstar confirmed that he will indeed grace Indio's polo fields this year -- albeit on Sunday, April 21 only -- after originally declining Coachella's offer to headline this year's festival due to stage-contruction demands/constraints. So what changed? For one, he's not even mentioned by name in the lineup. Instead, his performance is listed as "Sunday Service" on the updated poster -- at the bottom. Secondly, it's not just West involved. On Easter Sunday, attendees will be able to witness his now-infamous weekly celebrity-studded gospel performance series that he's been hosting near his home in Calabasas, California. West is typically joined by a choir, full band and more than a few special guests for praise-like versions of some of his most well-known songs. Don't be surprised if he brings along some famous friends to the Empire Polo Fields. By the way, according to an Elle interview with Kim Kardashian West on April 3, Sunday Service kicks off at right at 9 a.m. That's right -- a.m., as in the morning. Don't know about you but Coachella-goers aren't exactly the early rise-and-shine type, so that should be interesting. Of course, there's plenty more to look forward to at this year's Coachella: Childish Gambino, Tame Impala and Ariana Grande headline while a ton of other big names pepper the lineup such as Janelle Monae, the 1975, Diplo, Anderson Paak, Solange, Kid Cudi, Weezer, Aphex Twin, J. Balvin, Khalid, Zedd, Bad Bunny, Chvrches, Pusha T and others. Get those browsers ready on Friday -- and good luck!